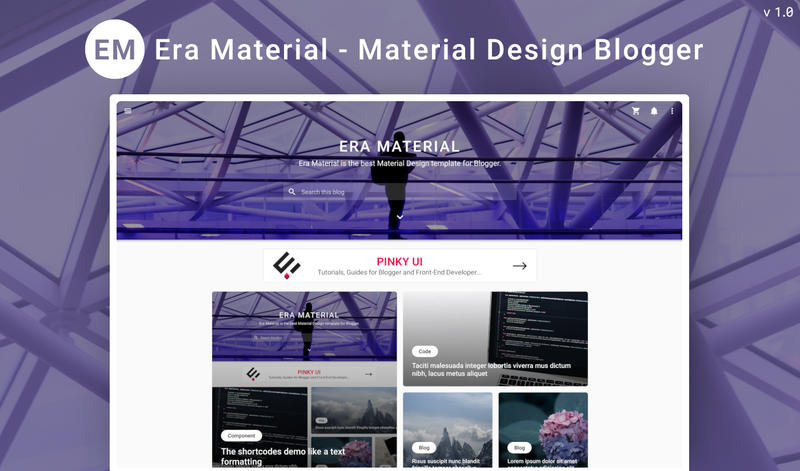 Era Material is my first work for Blogger Templates and release at the end of 2018 to be exact on December 31, 2018. 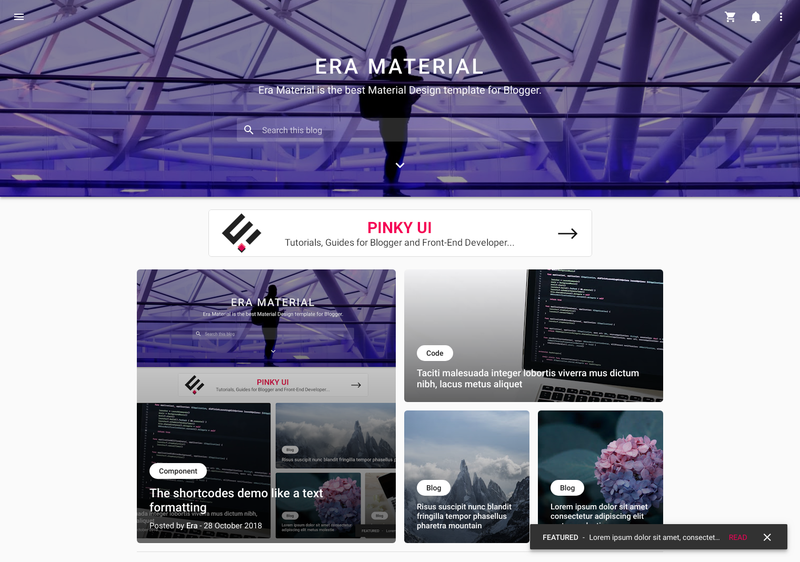 The design of Era Material is very Responsive, SEO, and support Accessibility. Besides that Era Material also optimized AdSense widget to get the perfect balance between ad placement and content. A list for all of the component please view in The component demo. Are you interested using the Era Material, or feel that a template like this is what you are looking for? Buy this template via PayPal just $23. If you live in Indonesia buy this via Bank just IDR. 250k. After buy this template, follow the instructions on how to install the Era Material through documentation that has been provided in the form of a webpage. Front-End Developer. I like creative design and I love music. I'm Linuxer, specially Arch Linux. 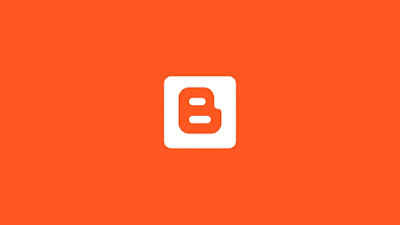 If you feel the article on this blog is useful, please consider supporting us. You can choose many options to support us by donate, including using the Bank, Crypto and others. Thanks.